The debates around futurist tech, biotechnology, and human enhancements are usually very polarized, with one side embracing it uncritically and the other rejecting it irrationally. Geeky technophiles who see science as the be-all and end-all of thinking want to push the progress farther and faster, sometimes leaving ethics behind, whereas the more romantically minded embrace mortality in all its tragedy and see transhumanism as an unforgivable act of hubris. While the two camps are busy rejecting each other’s views and widening a gap that should otherwise be bridged through dialogue and ethical consideration, technology is advancing at an unprecedented pace, and billionaires like Elon Musk or Peter Thiel invest heavily in anti-aging medicine and human-enhancing robots. In this messy context, debates such as the one organized by the Institute of Art and Ideas in London provide us with much-needed time to think. Bringing together a transhumanist researcher and ethicist, a sci-fi author, and the first UK user of a bionic arm, the debate manages to find the middle ground between two unfruitful extremes of technophiles and technophobes, creating a space for genuine discussion that’s at once substantial and fun to watch. 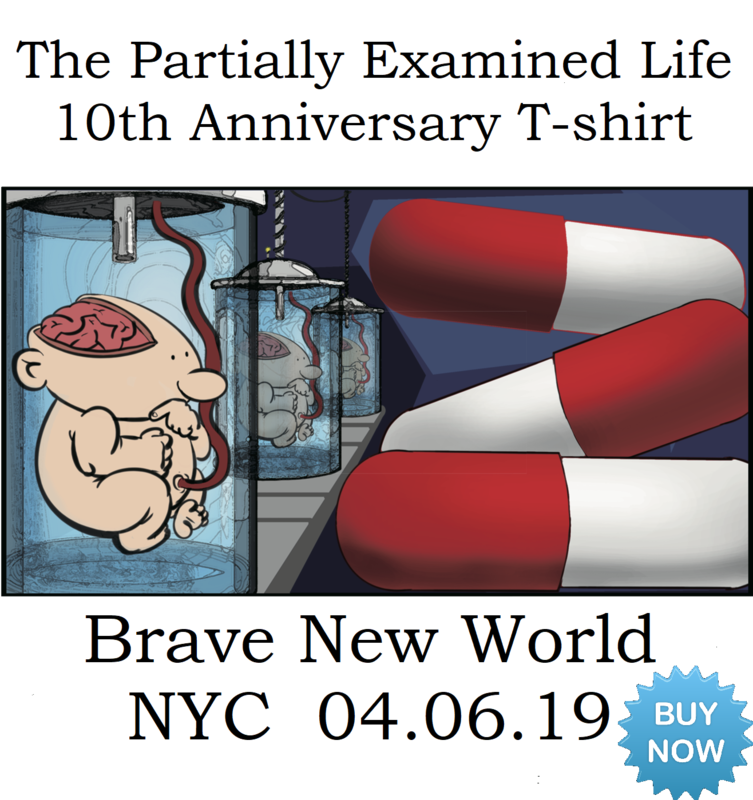 Some of the issues raised include the equality of access to bio-enhancement technologies (are only the world’s billionaires going to live forever while the rest of us remain mortals in the literal sense? ), the unique identity of every individual (does wearing a bionic arm you picked out from an assembly line make you less unique as an individual? ), social pressure (if everyone is designing their babies to be the smartest, why should yours be any less?) and the difficulties of predicting the future. Underlying this idea of the equality of rights is the belief that we all possess a human essence that dwarfs manifest differences in skin color, beauty, and even intelligence. This essence, and the view that individuals therefore have inherent value, is at the heart of political liberalism. But modifying that essence is the core of the transhumanist project. Nick Bostrom, founder of the Future of Humanity Institute, has contradicted Fukuyama, arguing that there simply is no human essence. Evolutionary biology shows us there is no fixed gene pool, but rather an "extended phenotype," which is influenced not only by our bodies but also our culture and institutions. In this debate at the IAI, Sandberg makes a more nuanced point. Against those who oppose transhumanism on the grounds that it’s "against human nature" he turns to Renaissance philosopher Pico della Mirandola. In his Oration on the Dignity of Man (which at the time was an attempt to argue that Christians too should dabble in the technological wonders of alchemy) Mirandola proposed that the uniqueness and dignity of mankind lies in man’s ability to change. The ability to transform oneself, either into something noble, more divine or into something base, is really the only property that sets humans apart from other species. Seen this way, the project of transhumanism might be a natural extension of what has concerned mankind since the mythical times of Prometheus. The Titan who is said to have stolen fire from Mount Olympus and given it to mortals did indeed commit an act of hubris, but his transgression is typical of mankind, his quest for a technology that brings humans closer to the gods—ordinary in its extraordinariness. If there’s anything that is "in our nature" it is the attempt to transcend nature. Besides, in our contemporary, post-Nietzschean world, where existentialists have denied any pre-given essence to humankind and postmodernism has blown up the notion of "human nature," can we still say that anything is unnatural? Why not pursue immortality? Why not engineer ourselves to become better humans? Aren’t these just different forms of self-creation? We’d love to know your philosophical thoughts on this. The debate is a great starting point, and if you’d like to know more about transhumanism, we’ve got a whole episode on it, as well as another one on artificial intelligence with transhumanist Nick Bostrom as a guest. Ana Sandoiu is a writer, researcher & philosophy lover living in Brighton, UK. She also writes on her personal blog, On a Saturday Morning. Transhumanism it seems to me to be in the business of metaphysics. It is for those who wish to see modern humanity’s scientific mastery over nature expanded to encompass human nature as well — granting us absolute power over the flesh and what is born from it, banishing all fortuity and uncertainty from the future of the race, seeking to reach the divine by ceasing to be human, by surpassing the human. There seems to be a close link between transhumanism and scientism. If it is through science that we determine what it means to be human, then we will inevitably arrive at an impressively reductionist account where outdated concepts like inherent value of every human life and equality are unjustifiable. A purely biological account of what it means to be human too often leaves us in the dubious situation where the mentally disabled and newborn children bear the burden of proof for demonstrating that they are human. This can be a logically consistent moral position for those who accept the methodology. For those who don’t we can only call into question the presumptions that make such a methodology possible. I am of the opinion that science is blissfully impotent to answer moral questions about what it means to be human. What it means to be human is something that runs deep with people. This may be why it is difficult to have a fruitful dialogue. For those who believe that life is merely an accidental economy of matter that should be weighed by a utilitarian calculus of means and ends and those who, on the other, believe that life is a beautiful and fragile gift, every moment of existence has a different significance and holds a different promise. In a transhumanist world, a Down syndrome child (for instance) is a genetic scandal, one who should probably be destroyed in the womb as a kind of oblation offered up to the social good and, of course, to some immeasurably remote future. To the “outdated” romantic, who believes every human life is endowed with inherent value and worth that same child’s life in all its dependency and fragility is a precious gift for both the child and community they are a part of. It difficult to have dialogue or compromise or middle ground with such radically incompatible moral visions. I guess you’ll have to paint me as one of those stick in mud, old fashioned, Romantic thinker, but transhumanism strikes me as desperate attempt to try and get out of life alive. One thing that is certain is that we’re all going to die. As human beings, we are weak, fragile and destined to die. There are few things we know for sure, but this is one of them. “In a transhumanist world, a Down syndrome child (for instance) is a genetic scandal, one who should probably be destroyed in the womb as a kind of oblation offered up to the social good and, of course, to some immeasurably remote future.” False. Transhumanists unequivocally oppose putting individuals to death as a result of genetics. We do support allowing people to make their own decisions on correcting what they wish to correct. 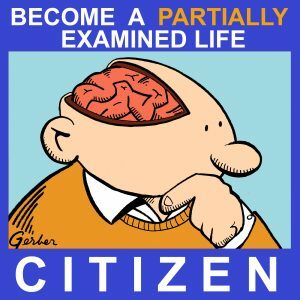 “Romantic thinker, but transhumanism strikes me as desperate attempt to try and get out of life alive.” What is wrong with wanting to live a long healthy life? If we do not have the right to live “forever” (a logically impossible notion, since it would take an infinite length of time to achieve such a feat) then how long do we have the right to live? Do we sentence people to death for being too old? I think it’s interesting that both you and the authors quoted in the piece think inherent human rights stem from mankind’s ‘uniqueness’ in some description. Is it not possible to believe in a system of ethics that doesn’t rest on this (a la Bentham’s utilitarianism). While what constitutes ethical behaviour might depend on species I think closer examinations may show this is not always human-centric. Ability to hold preferences is usually given as an example for why humans deserve a more robust system of ethics than other animals but then there are entire species of non-human animals who display far greater capability in than some humans due to age or disability. There are a couple of important points raised here which I think are invalid. I’m going to go through them in stepwise fashion. An ethical foundation for our actions is not something we currently have any consensus and there are a variety of views which try and tackle the problem in different ways, On my analysis they are actually constructing different measures of what ethics is trying to do and then claiming themselves to be correct by using a circular logic referencing their initial claims. There is almost no systematized ethics which places paramount importance on the uniqueness of individuals. You can place importance on individuality and self-actualization in an existentialist, virtue ethic or deontological framework, but this is an separate claim. It is conceivable that you could place uniqueness as paramount within one of these systems, but that is an extra claim which I have never heard a good argument for. There is nothing fundamentally far-fetched or metaphysical about most transhumanist concepts. The only one which makes any significant outside assumptions is uploading/consciousness alterations, but there are relatively few theories of consciousness which would rule out the possibility at the outset. Scientism seems to have become a strawman amongst many philosophical circles. In some strict sense it is certainly invalid (mathematical truths are true consequences of axioms, as with some philosophical truths etc.) but there is nothing that is in this sense scientismatic about a transhumanist ideas. Transhumanism is actually rather explicitly a philosophical enterprise. There are interesting philosophical problems to be solved around AI, consciousness uploading, eugenic implications etc. In the case that you have raised around people wanting to “get out of life alive” (a wonderful phrase I hope to steal), this can certainly be a motivation amongst some segments of the community. I have distanced myself from transhumanism on these grounds and others. However, the idea of improving our situation through genetic manipulation, cyborg technologies and AI need not be endeavors of this kind. I have always found the idea of increasing lifespan as being fundamentally misconceived. I, for one, find the idea of eternal life utterly terrifying, being doomed to repeat every single situation an infinite number of times, as every moment fades into a haze, representing exactly 0 measure of your lifespan. Not to mention one of the most pressing concerns for our society at the moment is the political, social, economic and intellectual influence of older people who simply can’t update their Bayesian framework, an inherent part of our psychology as it currently is. I would also take serious issue with your self-identification of these ideas as “romantic”. This paints a veneer of beauty and aestheticism which is entirely inappropriate. I work as a medical doctor and there is nothing romantic about genetic abnormalities in children or adults. There is nothing pretty about condemning people to choking to death on their own mucous, dying blue and breathless because of their heart abnormalities, watching their own mind decay into nothing or spending their short and painful life seizing, breaking every bone which can break again and again with no hope of a real human life. We can make our lives better without making them stretch into eternity, we can make ourselves smarter without being unkind and we can make our society respect individuals without condemning them to a genetic lottery. “I, for one, find the idea of eternal life utterly terrifying, being doomed to repeat every single situation an infinite number of times, as every moment fades into a haze, representing exactly 0 measure of your lifespan.” I personally find the idea of being dead forever even more terrifying. I do not understand why so many people love the idea. I don’t love the idea, I don’t think anyone really does. It’s just that the arguments as to why experience will become less and less enjoyable with time will often show that the mean quality will be negative, making it worse than death. These are contentious arguments to be sure, but generally they seem to me better supported than the opposing view. I tend to agree with you but it seems there are at least three mostly unrelated aspects of ‘trans humanism’. Who would bother arguing against that? There are no doubt some but there will always be those. 2. Enhancement to intelligence (mental abilities). I always laugh at this one. Human intelligence has yet to be adequately defined so true enhancement of it is far enough away (if such is even possible) that it becomes academic at this point. Tools that leverage human intelligence is a different question and these are obviously already here. They will improve with time of course. The question of inequality does come up with them when only the rich can afford the best tools. If found to be possible, it would not surprise me to find that the suicide rate would increase to keep population increase to only a temporary spike. I’m not ready to check out but I’ve lived and seen enough of the arc of life to see that by end, most would not choose to extend it forever, even in perfect health. On point 3: what worries me regarding transhumanism, vis-a-vis lifespan extension, is that it is the few who would want this longevity that matters. Whether it be politicians or judges or CEOs, people with power usually enjoy keeping that power. It is easy to project such a future as dystopian when you have individuals serving on the Supreme Court for a century or more. And regardless of political stripe, I think most reasonable people would not be thrilled at the prospect of a Clinton or a Bush or a Trump being on “the stage” for hundreds of years! By the way, the ultimate, most decisive term limit IS death! So the prospect of Donald Trump spending too long on the scene is justification for execution of innocent people? I have to concede your point about the few who actually Would choose immortality. But as long we are willing to elect such trolls, we get what we deserve. Transhumanism is just a four bit fancy word that describes routine medicine in the 22nd century and beyond. There is no reason for everyone to get their shorts in a knot over it. All this debate about “Transhumanism” doesn’t really matter. Scientists and technologists and the wealthy will roll this ball forward. It is the march of ‘progress’ at work. To those who find death horrific it may not be so disturbing if it is thought of as mere non-existence. We have all been ‘dead’ for about 13 billion years before being ‘born’ so, unless you appeal to some theological/religious explanation for our existence, the fear of death seems to be misplaced. Everything humanity is is the result of at the least thousands of years of evolution with a small e. The disrupting power of dramatically lengthened life, vital life, is unknown. While you may think people are generally ‘good’ and this technology will be used for ‘good’ I respectfully disagree. I disagree because those hopes are simply not enough, nor have they been proven to be the case over the the tumultuous history of human affairs. I am not sure what it means to have been “dead” for 13 billion years. That is philosophical rumination. If someone is dead before he is born, can he be born again and again after he dies? Someone has surely said something to the effect that we do not change our minds, we die. But that does not make it true. Many people change their minds. While I completely agree that humans are not basically good, it does not follow that advanced technology will destroy the world or otherwise be used for evil. With the exception of the atomic bomb, I cannot think of any existing technology that has undeniably made the world worse. Humans are quite capable of being rotten without technology. I said that ‘dead’ might be better thought of as ‘non-existing’ in this context. If the idea of non-existing, then existing for a time, then ceasing to exist is just “philosophical rumination” as you put it, doesn’t that apply to the endeavor of ‘Philosphy’ with a capital P as a whole? Many people change their minds. This is true. But would you want a Fidel Castro, Kim Jong-un or a Henry Kissinger to wield power or influence for hundreds of years? Or what about a Mark Zuckerberg or an Elon Musk? That just seems awful to my mind. If anything this whole discussion is moot. Transhumanism and Posthumanism is our future as the proverbial cat is out of the bag. And, by the way, the example of the atomic bomb as an exception to the general merits of advances in technology seems to only enforce my point as atomic weaponry is a HUGE exception, no? Is the atomic bomb is without merit? MAD has worked for around 70 years to keep us out of large scale warfare which is equally unthinkable today. Was the firebombing of Tokyo more humane than what happened to Hiroshima? The nuke boogeyman is useful, if only to make actual war unthinkable. I’d certainly prefer a world without nuclear weapons and MAD. And no, the firebombing of Tokyo is not more or less ‘humane’ than dropping Little Boy on Hiroshima. What I was getting at was that technology amplifies power. What took hundreds of planes and thousands of men to do to Tokyo took one plane and a handful of men to do to Hiroshima. And nukes making “war” unthinkable? Well, think Syria, Yemen, Afghanistan, Iraq, Crimea, regions of Africa and Asia, etc. Unfortunately war in some form always finds a way to rear its ugly head. I was just suggesting it as a possibility. Maybe nukes would have positive uses elsewhere. I second Abelard’s observation. A lot of what we transhumanism is 2016 is just fancy term for what people in the 22nd Century and beyond will call “health care.” Transhumanists just seem odd now because they want something ahead of a plausible historical schedule, kind of like the nerds in the last century who got out their slide rules and physics textbooks and wrote papers about how you could send rockets to explore the moon and the rest of the solar system, well ahead of this becoming technologically doable. Like one of the commenters said, this discussion is useless as everything is rolling ahead since we invented the first stone tool or weapon. Ethics was never an ingredient that was factored in any decision or invention. Self interest is the only trait that is always factored in. Ethics and altruism are just byproducts of self interest. And since we are all different, there will be different amounts of ethics in the decisions most influential people will make. For the cave man living in areas that today are 3rd world countries would have been unacceptable and unethical to think or approve of a future where technology will propel other regions of the globe in technologically advanced societies with longer life spans and better life all together. However nobody asked them about it and nobody cared or cares about their opinions. The ball is rolling since forever and it is pushed by those with most influence whether we like it or not. We elect or promote influential people based on our self interest and not ethics. Our immediate self interest is conflicting many times with our long term self interest, that is why through history the wrong influencers were elected or promoted time and time again.. And none of this will change with any of these discussions.